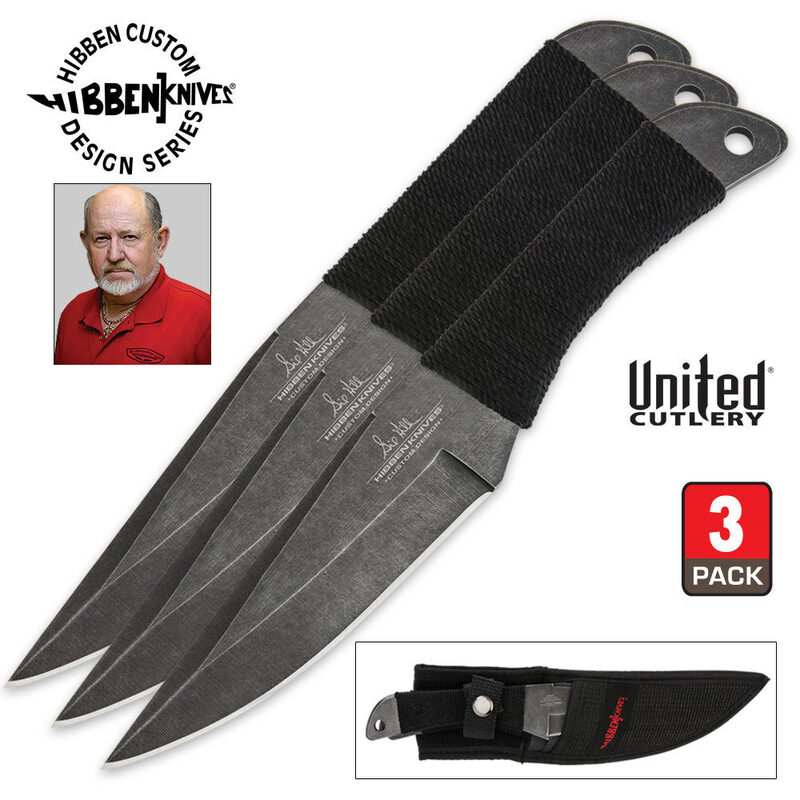 Gil Hibben Stonewashed Professional Large Throwing Knives 3 pc. 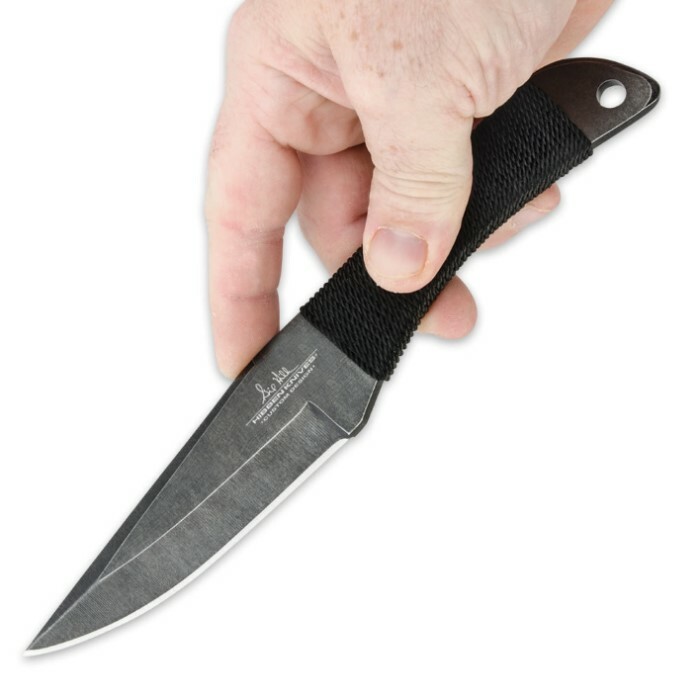 Set | BUDK.com - Knives & Swords At The Lowest Prices! 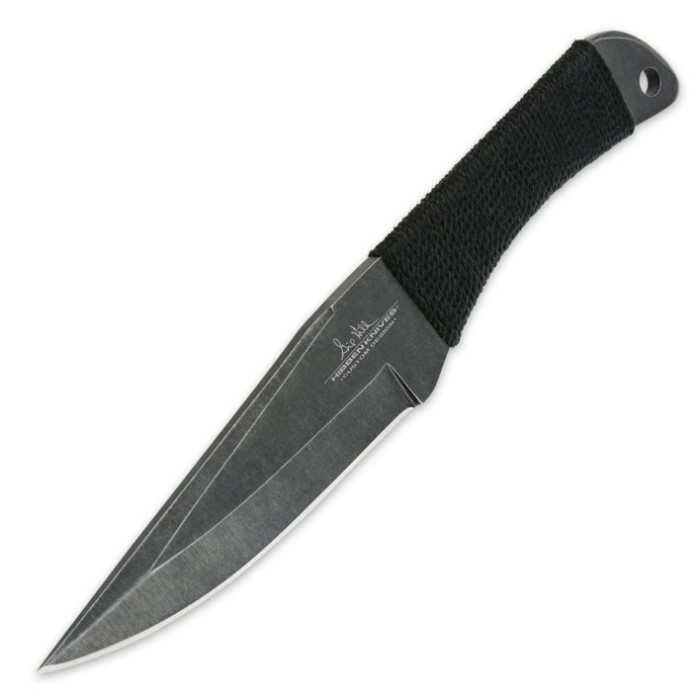 Gil Hibben updates a long-time classic Hibben favorite in these professional large throwing knives, now with a contemporary stonewash finish. Each 8-1/2" thrower features one-piece stainless steel construction, and the new stonewash finish gives a refreshing, modern look and feel to these classically designed throwers while staying true to their proud Hibben lineage. The handles feature cord wrappings for a superb grip, and the well-balanced weight ensures a good release with every throw. Watch these boys sail right into your target every time!